Transfers don't have to be reported on your taxes unless you convert to a Roth IRA. 3. How Many IRA Rollovers Can You Do in a Year? You can move your money from one IRA account to another through either a transfer or a rollover. Though the end result is usually the same, the Internal Revenue Service's rules differ depending on which method you choose. With a transfer, the money moves directly from IRA to IRA. With a rollover, you get paid the money as a distribution and then you have to deposit it into the second IRA. No matter which method you use, if you convert to a Roth IRA, you have to report the conversion on your income tax return. The amount of the conversion that consisted of tax-deductible contributions to your traditional IRA must be reported as taxable income, just as if you had taken a distribution in that amount. If, like many people, you haven't made any nondeductible contributions to your traditional IRA, this means the entire conversion counts as taxable income. Even if you've just made a nondeductible contribution to your traditional IRA, however, and immediately converted it to a Roth, the conversion still has to appear on your tax return, even though it won't increase your taxable income. As long as the transfer is done properly, transfers have minimal rules and regulations from the IRS because you never touch the money. The IRS does not limit how often you can move money between IRAs with a transfer. For example, if you want to transfer money from your international fund IRA to your growth fund IRA and back every month, you're allowed to do so. You don't need to report any of these transfers. When you take a distribution from an IRA, you have 60 days to redeposit it into a qualified retirement account, even if it's the same IRA from which you took the money. However, you have to deposit the full amount withdrawn, including any amounts withheld for federal income taxes. If you don't complete the rollover in time, or only complete part of it, the uncompleted portion is treated as a distribution. For example, suppose you take a distribution of $10,000 and $1,000 is withheld for income taxes. If you deposit only the $9,000 you received, you're considered to have rolled over $9,000 and taken a distribution of $1,000. Rollovers must be reported on your income taxes with either Form 1040 or Form 1040A. 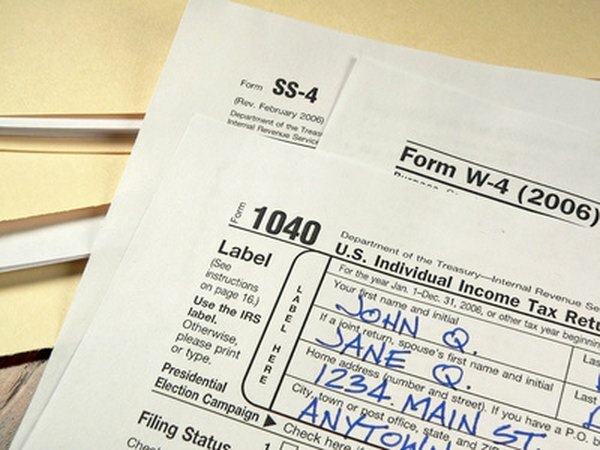 Report the total amount of the distribution on line 11a of Form 1040A or line 15a of Form 1040. Then, report the amount you didn't roll over, or "0" if you rolled over the entire amount, on line 11b of Form 1040A or line 15b of Form 1040. Finally, write rollover next to line 11b or line 15b. You can't roll over a distribution from an IRA if, within the past 12 months, a distribution from that IRA has been rolled over or you've rolled over funds into that IRA. However, if the distribution is eligible to be rolled over, you can roll it into any IRA, even if you've done a rollover from that IRA in the past 12 months. For example, if you rolled over money from IRA X to IRA Y in February, a distribution from either X or Y in July wouldn't be eligible to be rolled over. However, if you took a distribution from IRA Z, you could roll that money into X or Y. If I Take Funds out of My IRA, Can I Repay Them Before the Year Is out Without Penalty? Can You Roll an IRA Before It Matures? Can You Withdraw Money From an IRA if You Replace It?